Ford Motor posted a loss in the fourth quarter as the iconic carmaker struggled with higher costs due to President Trump’s tariffs and slower sales in the lucrative China market. The company lost $116 million or 3 cents per share, compared to a $2.4 billion increase in the same period a year ago. Meanwhile sales grew 1 percent to $41 billion, exceeding Wall Street estimates but little changed from the year ago period. For the year, profits slid more than 50 percent to $3.7 billion, or 92 cents a share. Ford’s CFO Bob Shanks said immediately following the earnings that the automaker will do better next year. “The improvement should come from the same areas that drove the declines in 2018. That would be China, Europe and North America” said Shanks during an interview on FOX Business Network. The carmaker has also provided few details on its expected 2019 earnings. Hackett earlier this month said it would improve profits – which also declined by double-digits in both the second and third quarters – but did not provide a projected earnings per share for the year. The main headwinds facing the company include President Trump’s double-digit tariffs on steel and aluminum imports, as well as levies on $250 billion in Chinese products, which are estimated to add up to $700 million in costs in 2019. 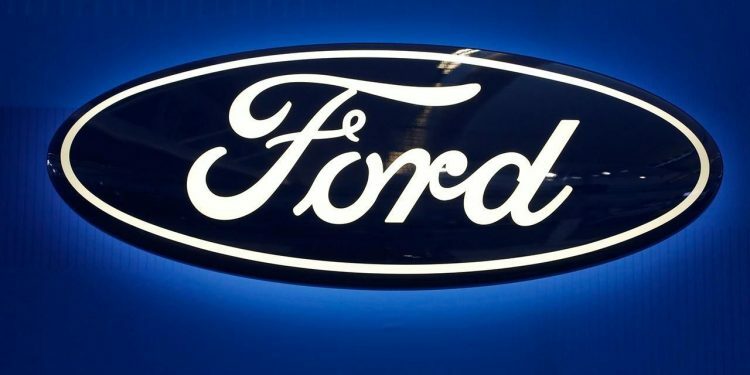 Ford will also face higher taxes this year, as well as a potential economic slowdown in China, the world’s largest market for the auto industry. “We expect to be able to fully fund our business needs, while maintaining cash and liquidity levels at or above our target levels,” he told attendees at the Detroit Auto Show earlier this month. A central plank to Ford’s attempted turnaround is an upgraded fleet with new models of the Ford Escape and Explorer, as well as the new Ford Ranger and Lincoln Aviator. Ford shares have fallen 28 percent over the past 12 months.